STAY WITH OUR FAMOUS ASSETS! Puncak Inn is a budget hotel at Fraser Hill's town center, facing the clock tower and roundabout a short distance after exiting the Gap Road. 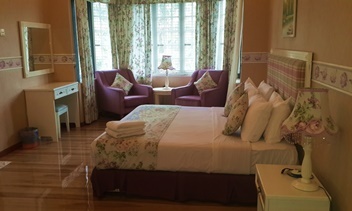 Puncak Inn Hotel offers a range of family apartment units at Fraser's Silverpark Resort including studio, two bedroom and three bedroom units. Fraser's Hill has a large collection of English homes left over from the colonial era, many which have become signature landmarks in this highland destination.